The Morton Arboretum is located in Lisle, Illinois. It is 1,700 acres of trees, shrubs, ponds, streams and hiking trails. The Arboretum contains plant species from all over the world. Layers of golden prairie grasses mimic the waves in an autumn sky. 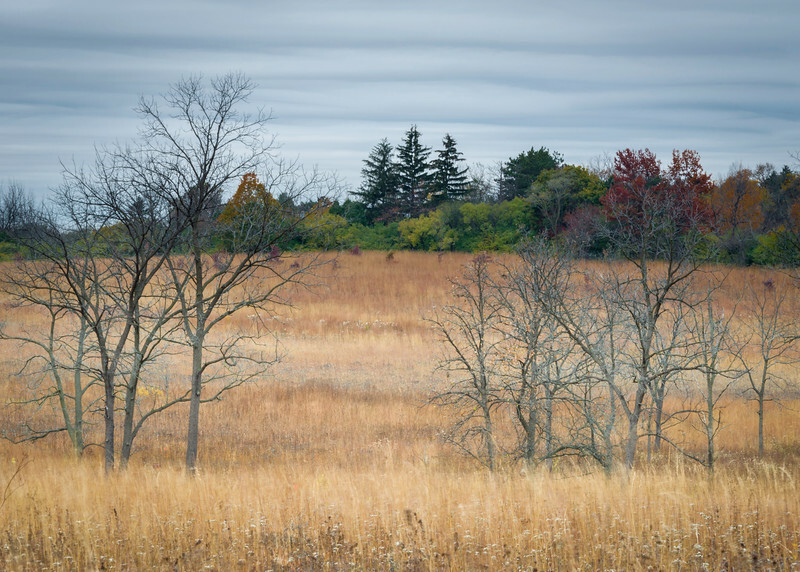 Schulenberg Prairie at The Morton Arboretum, Lisle, Illinois.